The Business 20 conference took place alongside the G20 Summit in Brisbane, Australia recently. The event – the first of its kind alongside the political summit – was created to bring together industry types from across the business, construction and IT sectors. 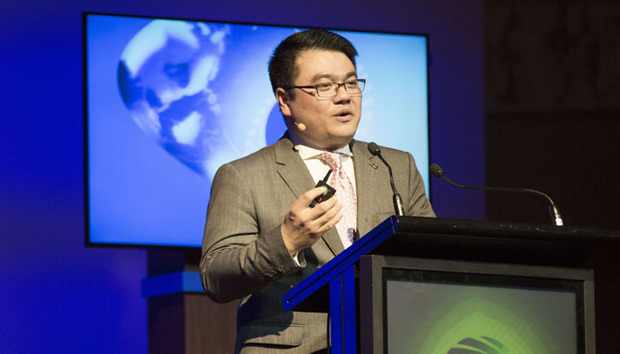 Speaking at the event, SY Lau, President of the Online Media Group at Chinese internet giant Tencent, provided an overview of the impact that new technologies – from mobile internet through to new apps for taxi services – are having on China in general. Here, he answered a few questions too. What was the Business 20 event aimed at achieving? Did you think it reached this target? Business 20 was aimed at giving a platform for companies that operate around the world to discuss some of the biggest issues of today. My invitation was to discuss market disruption. Obviously, the tech sector is one of the biggest sectors for changing how markets work – you just have to look at how travel is changing based on apps like Didi Taxi in China, or Uber and Hailo in the West. However, there is no stopping point on change. That was the big idea that I took from the event, based on what the other speakers covered as well. Technology can help make markets move faster, but the impact can only be made effective if other areas are also involved. I think the event was a success, as it provided a chance to see how all markets are evolving and interacting with each other and with government, not just technology. In your presentation at the event, you covered the role of market disruption and "digital Darwinism”. How much do you think this is taking place in China, and how does it compare to the rest of the world? When I was putting my presentation together I originally thought to look at how much new, technology-led companies had affected the make-up of things like the Fortune 1000. However, what struck me was not so much that tech companies were now a large part of that list, but that those that did make the list in 2000 were very different to those in 2010 or 2014. The tech sector might disrupt markets, but it also disrupts itself far faster. It’s not a case of being able to rest on your laurels – the need to keep disrupting yourself is far too great. The Innovator’s Dilemma [by Clayton M. Christensen] talks about the need to keep ahead of the wider market and even destroy your existing sales in order to stay ahead of the competition. Too many tech companies are not able to maintain this approach. The right approach here is absolutely to be led by market and user feedback. It does threaten existing revenue channels but without this, it puts the whole company at risk of not keeping up. Rather than trying to lead all the time, Tencent looks at making use of any change in the market over time. We can make small, swift iterations on services in order to be innovative and deliver what users want. Taking this approach, we can maintain our philosophy and stay ahead of the competition. It is better to choose to disrupt yourself and use this as part of your overall approach, rather than be forced into it, where you have less chance of success. The term "internet thinking" in China is a big one, but it doesn’t seem to have spread outside the country. Is it similar to Western ideas of start-up culture and entrepreneurialism? I think there are two big trends going on here – the first is that we are entering a period of growth in China that is different to what we had before. This is often referred to locally as the “new normal”. Rather than the growth of previous years, we now have an economy that needs each business to operate at a higher efficiency level. Companies are responding to this by looking at how to lower their costs and operate a more sustainable model. We have had 35 years of development at tremendous speed. We all have to continue our growth, but do so in a way that maintains itself. At the same time, new social media and social network tools have come into being. People are more connected to information, to new trends, to comparison shopping tools … someone in a tier-four city in China which is located in one of the rural provinces is now as connected to news as someone living in Beijing or Shanghai. Customers can keep up to date with those trends and make purchases via mobile. The impact here is interesting. What e-commerce led to was more traditional businesses started to embrace internet services very quickly. Traditional companies in the services sector moved on to using [Tencent’s instant messaging platform] WeChat very quickly – it helped them be in contact with potential customers. This “online-to-offline” model helped them compete. By helping buyers and sellers find each other and conduct the transaction in one place, it made the whole process easier on both sides. The main example of Internet Thinking in China is how to best make use of all these new channels and opportunities in ways to create a user experience that is memorable. Many businesses like restaurants have taken to social and digital marketing techniques to help build awareness of their brands, but have also made social an integral part of how and why they do business. The difference I see with Western companies is that internet services tend to be added to existing companies for their marketing or business development. Internet entrepreneurs think about the power of online services, but more traditional ones look at them as ways to reach a larger audience. There is nothing wrong with these approaches. In China, the real power that Internet Thinking has had as a model [has been] to embed online services completely into how organisations worked. For traditional companies, this involved far more change [over] a short space of time. These companies were good examples of how to disrupt yourself successfully. Mobile internet has had an impact in China. Is this something that will continue to grow, or are we seeing a plateau? China is entering a new mode of growth at the same time as mobile internet access has become more ubiquitous across the country, from urban centres through to rural areas. This has made it possible for companies to find and connect with potential customers in much easier ways. The biggest challenge for Chinese companies – particularly those in rural locations – has been to manage supply and demand. All too often, it would be difficult for those smaller traditional businesses to operate and sell their goods outside of the regions that they are based in. A tea grower in Fujian Province may have a great product, but if no-one knows about it then they can’t sell it. Getting access to digital marketing makes it easier for companies to find and sell to those audiences. However, previously you still had to have access to the internet, access to a PC, awareness of who to speak to and how to speak to them. Today, with mobile internet, this barrier is far lower. Audiences are out there looking for what they want, and the internet helps them to connect with the companies that they want to buy from. McKinsey’s report on e-commerce in China listed that the amount of spend by people across the tier-three and tier-four cities in China was the same as the tier-two cities. The difference here is that this volume of spend is a higher proportion of what people earn. Mobile internet helps these people to be savvy in their approach to shopping. While this can make local bricks-and-mortar stores seem less impressive, these stores have not sat back either. They are looking at online-to-offline approaches for how they can bring those local customers back through running their own e-commerce offers, but also expanding their addressable market to farther afield as well. The disruption in the market won’t end – it’ll continue to develop as users want new or different products. There has been a big untapped market in China for decades, but the availability of the internet helps buyers and sellers find each other, regardless of distance. For Tencent, this represents a great opportunity to carry on disrupting our own business and match user expectations.